The Highveld Lions star and rain prove the difference on an evening where Pakistan will feel a tad miffed at their fate. 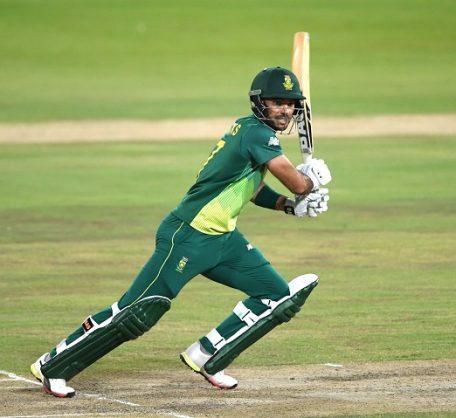 The hunger of the Proteas’ less experienced batsmen for runs and a potential World Cup place proved decisive on Friday night as Reeza Hendricks guided them to a 13-run win over Pakistan on the Duckworth-Lewis-Stern method in Centurion. South Africa now lead the five-match series by 2-1. The Highveld Lions star was outstanding in crafting a brilliant, unbeaten 83 off 90 deliveries, providing the impetus that allowed the home side to get ahead. Chasing a challenging 318, an initial shower saw the teams hauled off with the Proteas on 80/2 after 16.5 overs, almost 20 runs behind their required target. When play resumed, Hendricks skillfully took the attack to the Pakistani attack and influenced batting partner and captain Faf du Plessis (40*) positively. They added 108 runs at a perfect pace, eventually moving the score to 187/2 when the second and final interruption came – 13 ahead of where they needed to be. Whether South Africa deserved this victory will be a matter of debate given how poorly they performed in the field. Their catching woes continued as no less than five chances went down. Frustratingly, all of them proved costly – 201 runs to be exact. Following a bright and disciplined start with the ball, culminating in an early wicket on debut for left-armer Beuran Hendricks (1/50), the rot started in the eighth over. Mistiming a pull, Babar Azam was dropped by Andile Phehlukwayo, who showed a hard pair of hands. On 11 then, the elegant right-hander stroked his way to a fine 69. Pakistan’s batting mainstay, Imam-ul-Haq, was next as his drive off a Dale Steyn fuller one burst through Tabraiz Shamsi’s hands at mid-off. It was a regulation catch. Imam, a compact and underrated opener, took full advantage of his life on 53 to work his way to a cultured 101 … and passing 1000 ODI runs in the process. Steyn, who clearly relished bowling to his so-called bunny, Mohammad Hafeez, was the victim once again when the Pakistan veteran edged him to slip, only for Hashim Amla to spill the chance at slip. Hafeez went on to stroke a superb 52 off just 45 deliveries, but at least succumbed to one decent piece of fielding when Phehluwayo dived brilliant to his left at mid-on. Shoaib Malik, who made 31, was dropped on 2 at deep square, while Imad Wasim, promoted to six, was afforded a second chance when, on 21, Reeza Hendricks palmed his flat drive over the rope. Imad spearheaded the late charge with an attacking, unbeaten 43 off just 23. It was indicative of the Proteas’ day in the field, though the enduring class of Steyn was a ray of light. He was superb in claiming 2/43 off his 10.